San Francisco, CA – VIZ Media, LLC (VIZ Media), a premier company in the fields of publishing, animation distribution, and global entertainment licensing, continues to expand the Blu-ray catalog for the beloved anime series, BLEACH, with the release of Set 3 on October 24th, 2014. BLEACH Set 3 includes four-discs, covering Episodes 56-83, and will carry an MSRP of $54.97 U.S. / $63.99 CAN. Episodes will be available with dialogue selections for dubbed English as well as subtitled, Japanese 2.0 audio, with episodes presented uncut and in their original 4:3 format. Special bonus content for this new home media edition includes a “Behind the Scenes of BLEACH” segment featuring interviews with the English voice cast along with an added segment on Kon’s U.S. Tour. In the latest episodes, it's Soul Reaper against Soul Reaper as captains Ukitake and Kyoraku face punishment from Head Captain Yamamoto. Yoruichi encounters her former subordinate Soi Fon in a deadly battle, while Ichigo struggles to survive his own fight with Captain Byakuya. Meanwhile, Captain Hitsugaya and Rangiku break into Central 46, but they're not alone! In the BLEACH anime series, for as long as he can remember, Ichigo Kurosaki has been able to see ghosts. But when he meets Rukia, a Soul Reaper who battles evil spirits known as Hollows, his life is changed forever. Now, with a newfound wealth of spiritual energy, Ichigo discovers his true calling – to protect the world of the living and the dead as a Substitute Soul Reaper. The BLEACH animated films and TV series (distributed in North America by VIZ Media, rated ‘TV-14’) are based on the smash hit manga series created by Tite Kubo (also published in North America by VIZ Media, rated ‘T’ for Teens). 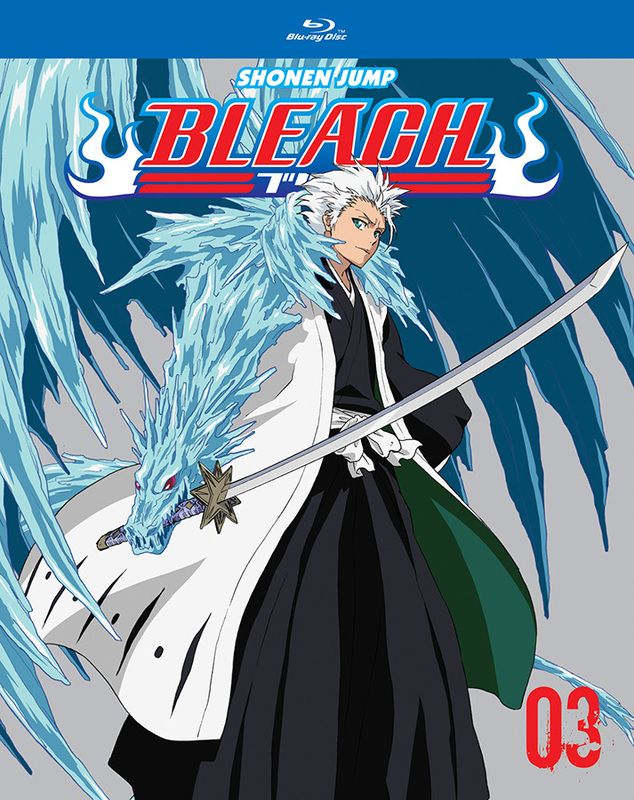 For more information on BLEACH manga and anime titles published by VIZ Media, please visit VIZ.com.